Would you like to support conservation when you travel in Namibia’s arid Eden? -protecting wildlife costs money: the conservancies employ game guards to protect rhinos and other species from poaching. They need vehicles and equipment. 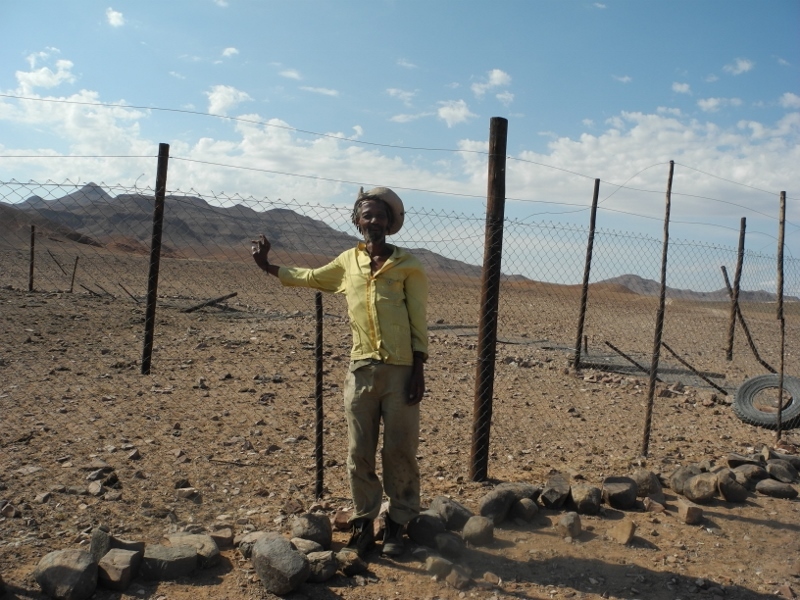 On Namibia’s communal land, communities organized in conservancies manage an enormous asset: Some of Namibia’s most pristine and scenic landscapes as well as their iconic wildlife. But conservation costs money, and the costs of living with wildlife can be high. Therefore, the tourism businesses associated with TOSCO (Tourism Supporting Conservation) have decided to pay a voluntary conservation contribution to selected conservancies. Tourism businesses and self-drive travellers enjoy visiting pristine landscapes like the Huab, Hoanib and Hoarusib Rivers in Namibia’s Kunene Region. These areas are rich in wildlife. They are home to one of the last free-roaming lion populations in the world, the elephants there are the only desert adapted elephants apart from a population in Mali, and the region is a last stronghold for free-roaming black rhinos. As more and more tourists discover the uniqueness of these areas, they are becoming enormous assets for the tourism industry. These assets are managed and protected by conservancies. This, however, causes costs: Lions kill their cattle, elephants destroy their water infrastructure and antelopes compete with livestock for the scarce grazing. Conservancies employ community game guards to protect the wildlife and mitigate human-wildlife conflicts, the game guards need to be equipped with vehicles etc. and communities have committed themselves to setting aside large parts of land for wildlife and finding a balance between wildlife and farming. Conservancies are not national parks. They are communal farmland. 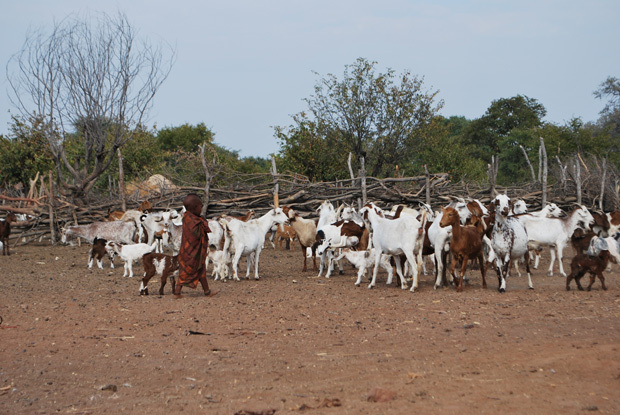 The local people there usually depend on on livestock and small-scale crops for making a living. 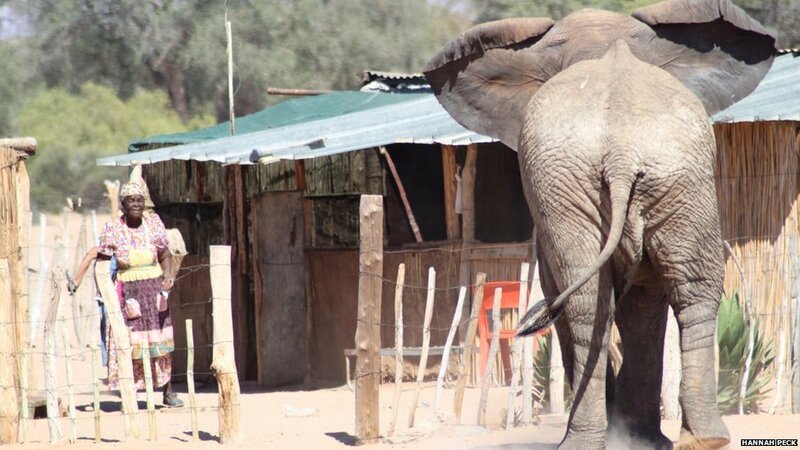 On commercial, private farmland, there are no lions and also elephants are usually not tolerated. In many conservancies they still roam freely, although there is conflict and thus not all local people appreciate them. 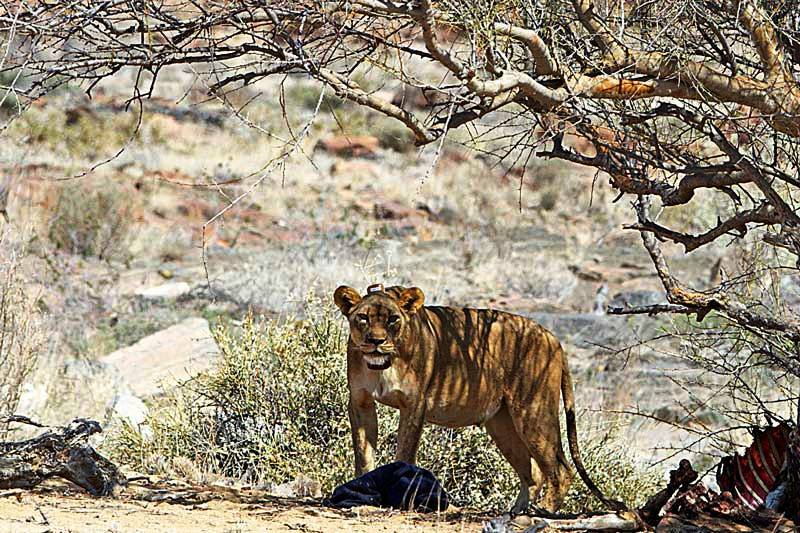 It is the concept of Namibia’s conservancies to manage wildlife and other resources sustainably, by allowing rural people to generate tangible returns from them, through hunting or tourism activities. Most conservancies derive most of their income from hunting, either for meat or trophy. Visitors do not have to pay an entrance fee in Namibia’s wild vast open spaces. If we do wild camping and bring along all our provisions, the local economy has no benefits but the conservancies still have to bear the costs of living with and protecting the animals we come to see. We can assist the local communities in carrying the costs of conserving the wildlife that we come to enjoy. The members of the TOSCO community have committed themselves to paying a voluntary conservation contribution of 50 N$ per guest per day for their nature-focussed activities, as well as an additional 50N$ per guest per night for wild camping. The contributions are paid to TOSCO from where they will be passed on to the specific conservancies to mitigate human/ wildlife conflict. The conservation contribution applies to areas used by tourism where the cost of living with wildlife is particularly high and is not adequately balanced by benefits from tourism: The Huab, Hoanib and Hoarusib Rivers in the Puros, Sesfontein and Torra Conservancies. With this TOSCO sponsors are leading the way towards more responsible tourism in Namibia, contributing fairly to the protection of the natural resource they use. TOSCO also encourages tourism businesses and individual travellers to use local products and services as much as possible (See our responsible travel guidelines for more details). There will only be free-roaming lions, rhinos and elephants in the future, if the benefits exceed the costs of living with them. 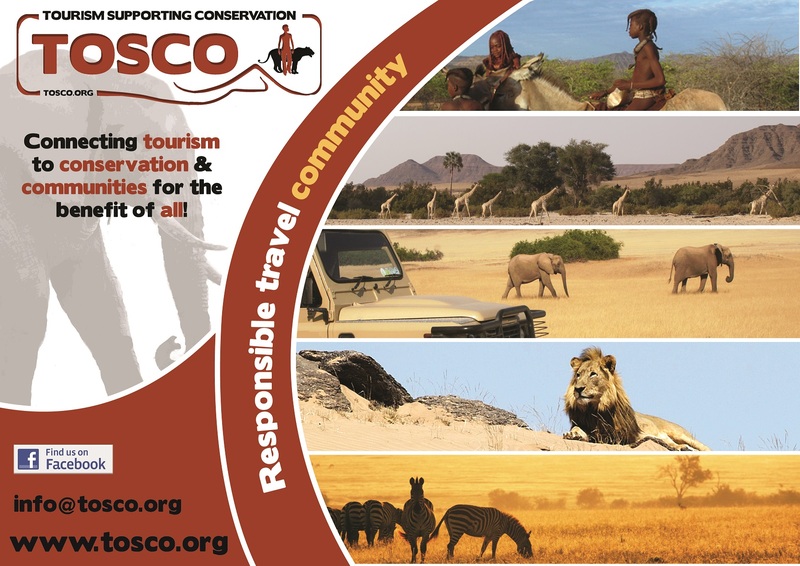 TOSCO Trust (Tourism Supporting Conservation) is a non-profit organization connecting tourism to conservation and local communities in Namibia for the benefit of all. Funded mainly by tourism operations, TOSCO Trust promotes responsible travel by supporting conservation programs, people living with wildlife and public awareness. TOSCO Trust closely cooperates with conservation organisations like the Desert Lion Conservation Project, Save the Rhino Trust, WWF or IRDNC. For more information contact 00264 (0) 81 45 35 855, e-mail info@tosco.org or visit our website http://www.tosco.org.